LOCATION: Inskip Pool, 4204 Bruhin Rd. 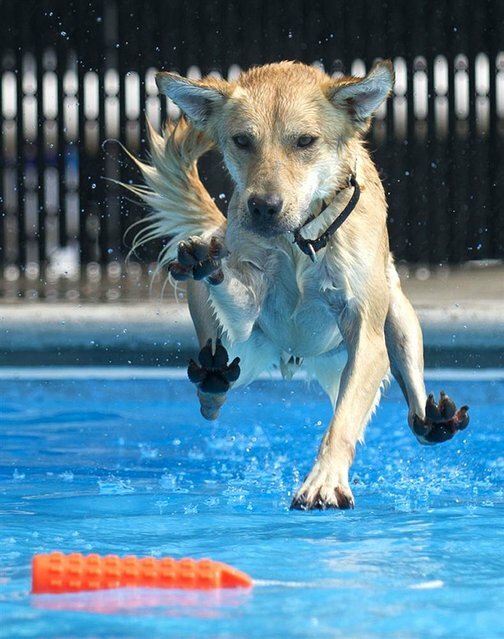 Each year, the City hosts an annual "Doggie Dip" at the outdoor Inskip Swimming Pool at 4204 Bruhin Road. The exclusive dog-only swim party happens as the City is wrapping up the summer swimming season. Dog owners are encouraged to bring their furry friends out for a refreshing dip and afternoon of socializing. The cost is $5 per dog and per person, with a two-dog maximum for each owner. Owners must keep all dogs under control. All dogs are required to have up-to-date vaccinations, leashes, and tags for the event. Doggie Dip registration forms must be completed for each dog attending.